Setting up your eReader for the first time can be quite complicated. 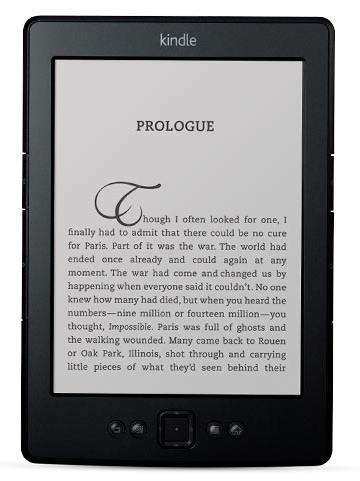 There are many different versions of each eReader and they each can preform different functions. Personally I prefer the simplest of eReaders. My favorite is the basic amazon Kindle. There are others that can browse the web and display video but the battery is not as good and the display is not as crisp. I like the Kindle because the battery life is very long and it preforms its intended functions very well. If I want to browse the web and look at video I will use my laptop. I would rather have a simple device that preforms on function very well. The downside of the Kindle is that it cannot view books from the local library. The only way to view books is to purchase them from amazon. The price for digital books on amazon is still above the price for paper versions (which is difficult to understand). If you would like to check out digital books from the library then I would recommend the Chapters Kobo device. Unfortunately the steps required to borrow digital books from the library is still complicated and the waiting lists for popular books is long. For this reason I recommend sticking with the Kindle over similar devices. It is very simple to use and the purchase of additional books is very easy. When you first purchase a Kindle device you are assigned a free email address for the device. When you purchase a book at amazon.com your books is automatically emailed to this address. Your Kindle when then immediatly download your purchase via your wireless network. There is no need to connect your Kindle to your computer to receive your new purchases. This is one of my favorite features of the Kindle. Which ever device you choose I am happy to help you setup your device and give lessons on its use.